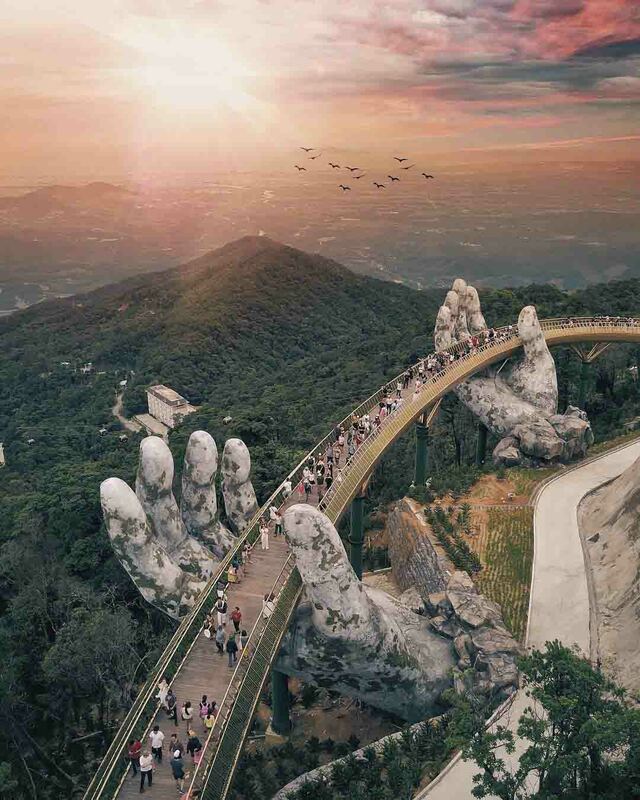 Most of the tourists traveling to Da Nang will definitely visit Ba Na Hills. They often spend a day on this tourist attraction. 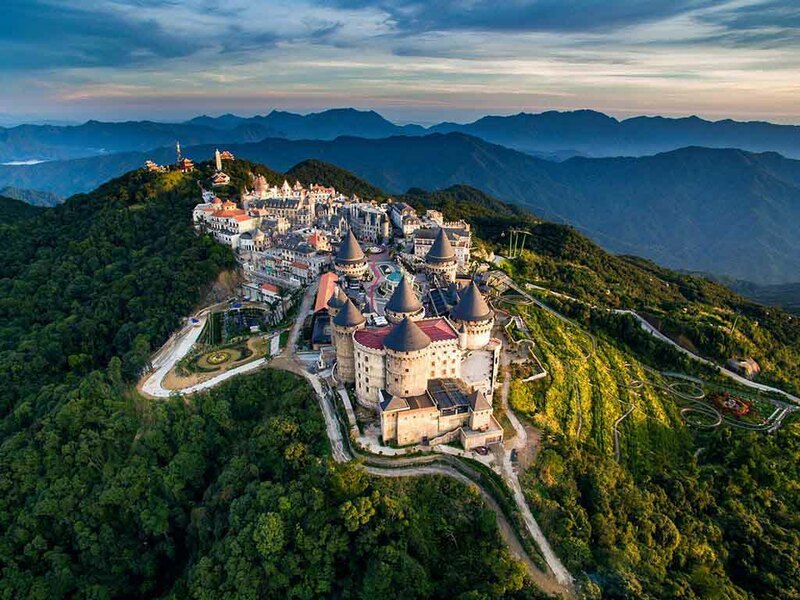 However, one day is not enough to explore Ba Na Hills completely. So, let’s check out this article and make a plan for a 2-day-1-night trip to have a great holiday in this famous destination in Da Nang. – 8:00: Join games in Fantasy Park and play Legendary Knight (sliders). 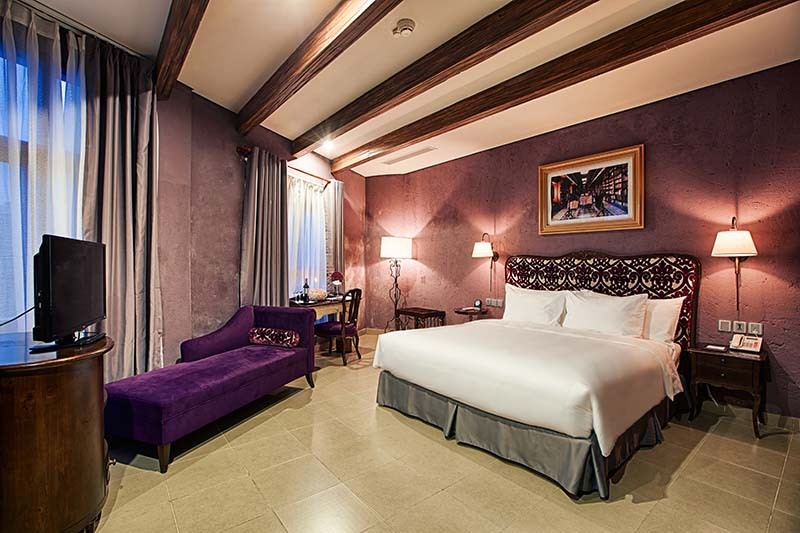 One special thing when you choose to stay on Ba Na Hills for a night is that you will have a chance to experience the high quality room and excellent services at Mercure Da Nang French Village. 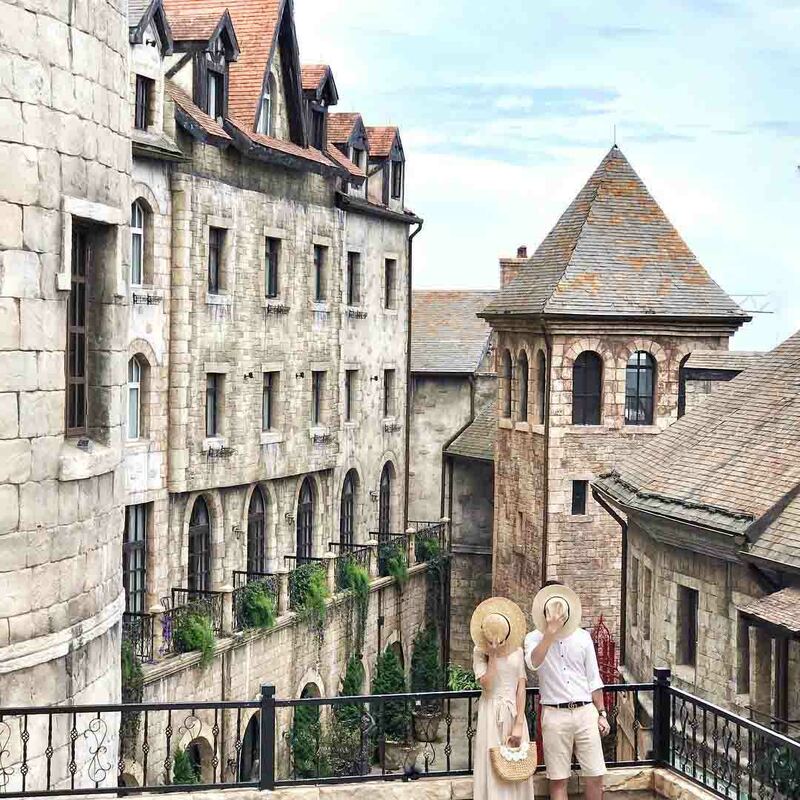 Located right on the French Village, from here, you can easily explore all corners at Ba Na Hills and check-in with the Golden Bridge which is really hot recently. There are 494 rooms at this hotel. Each has open and airy space bringing you natural light with modern equipment in the room for your comfortable and happy holiday. Located at an altitude of 1.400m above sea level, the 150m long Golden Gate connects a cable car station with nearby gardens. On the bridge, you can admire the scenery of mountains and forests, the halls of European architecture hidden underneath. Because of the unique architecture, therefore, it is always crowded by young people coming to check-in and see the stunning scenery. When you have taken all the angles of the Gold bridge then you can have a walk around “little France”. There are total of 32 buildings that are next to each other, covering an area of nearly 21,000 m², a lively landscape with large squares and replica of the ancient church. French Village is a refreshing, romantic, luxurious and elegant. After having wandered around, reward yourself a relaxing time at Tru Vu Tra Quan. 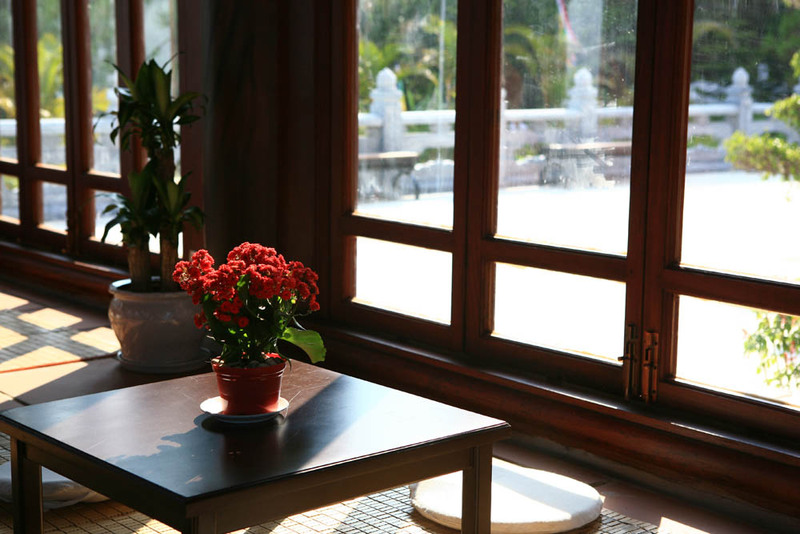 It is 350m² in size, consists of 3 blocks and is designed in the traditional architecture of North Vietnam giving you a quiet and comfortable spiritual space. The combination with the glass walls in the design creates open and close to nature space. Recharge your day with a hearty breakfast at the restaurant. After being full enough, come and join the exciting games at Fantasy Park. There is a collection of 105 interesting games are imported from around the world, especially is the legendary Knight (slide). Do not miss out on the chance to discover the Debay ancient wine cellar. This wine cellar was built by the French through the heart of Ba Na Mount since 1923. After a time of bomb damage, this unique wine cellar has been rebuilt and put into operation to serve visitors. This is a very special architecture. It is dug deep into the mountain, 100m long, 2.5m high and about 2m wide. 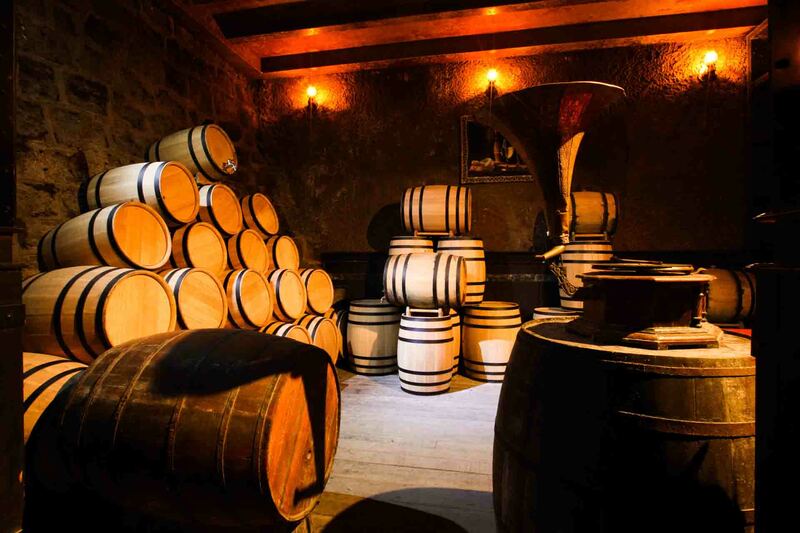 There are storage rooms, distilleries, bar areas, fireplaces and lounges inside the cellar. 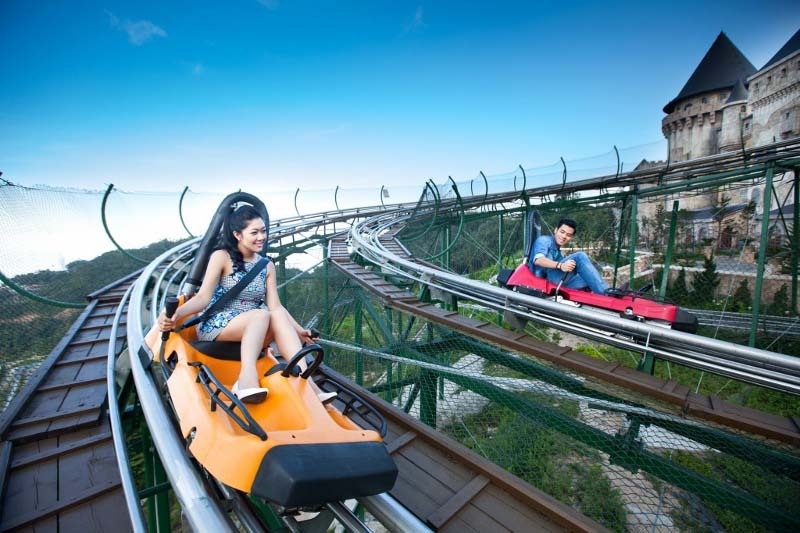 The total expense for this 2-day-1-night trip on Ba Na Hills is only from $80 to $100. It is amazingly cheap, isn’t it? You are waiting for what? Come to Vietnam and enjoy your most joyful trip in Da Nang. 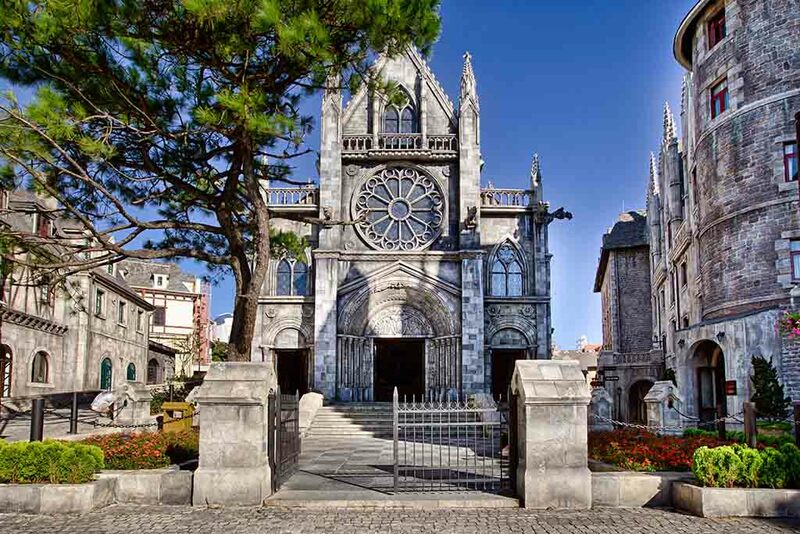 This entry was tagged ba na hills, church, da nang, fantasy park, french village, golden bridge, vietnam, wine cellar. Bookmark the permalink. VnVisa.com provide supporting service for evisa, visa code and pre-arranged visa on arrival to Vietnam. VN Visa is a non-government site and whilst every effort is made to ensure that the information is correct and up to date, there may be changes which we are not aware of.